On May 5, 1945, the war ended. 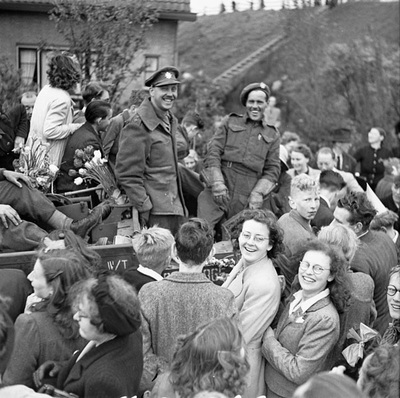 Still to this day, Holland celebrates this day and cal ls it, "Liberation day." 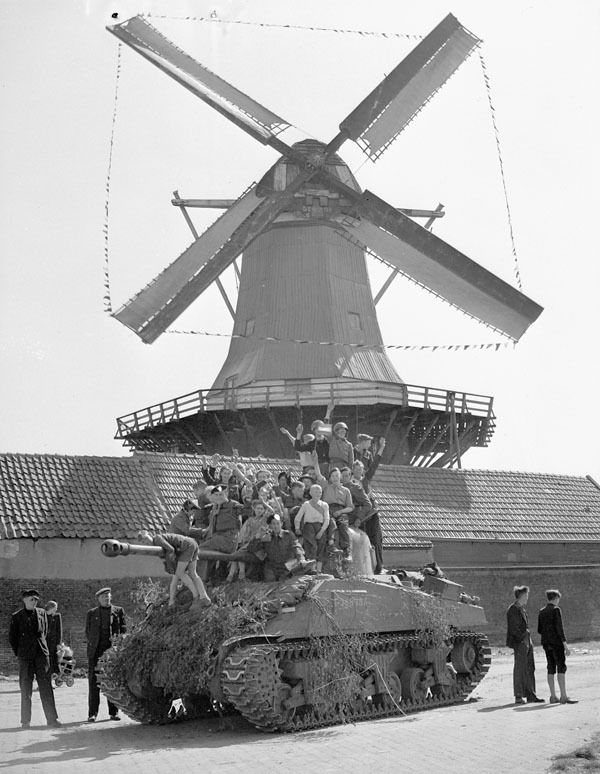 Dutch children riding on a Sherman tank of Lord Strathcona’s Horse (Royal Canadians), Harderwijk, Netherlands, 19 April 1945. Source: Library and Archives Canada. 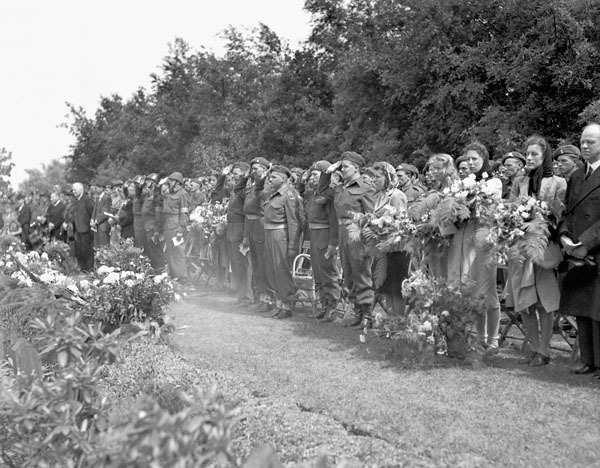 Personnel of 1st Canadian Army Group Royal Artillery (AGRA) and Dutch civilians singing the Dutch national anthem during a memorial service for Allied soldiers, Bergen, Netherlands, 6 June 1945. Source: Library and Archives Canada. Dutch children dressed in orange paper hats and ribbons to celebrate the 2nd Canadian Infantry Division’s liberation of Goes, Netherlands, 30 October 1944. Bell, Ken., Photographer. Source: Library and Archives Canada. Rifleman R.M. 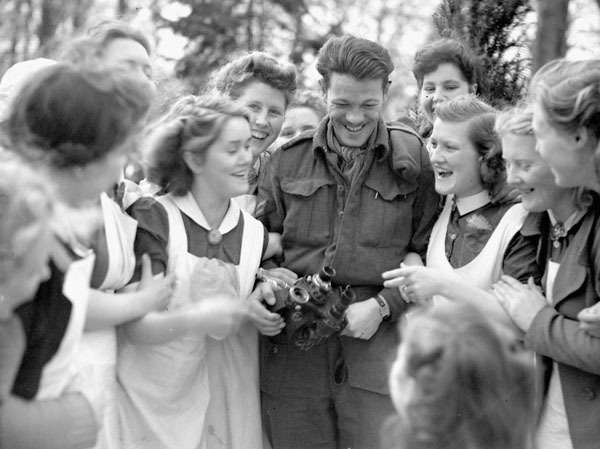 Douglas of The Royal Winnipeg Rifles with a group of Dutch women who are celebrating the liberation of Deventer, Netherlands, 10 April 1945. Source: Library and Archives Canada. Dutch girls waiting to place flowers at a monument commemorating Canadian soldiers who were killed in action in the liberation of the Netherlands, Moerstraaten, Netherlands, 26 August 1945. 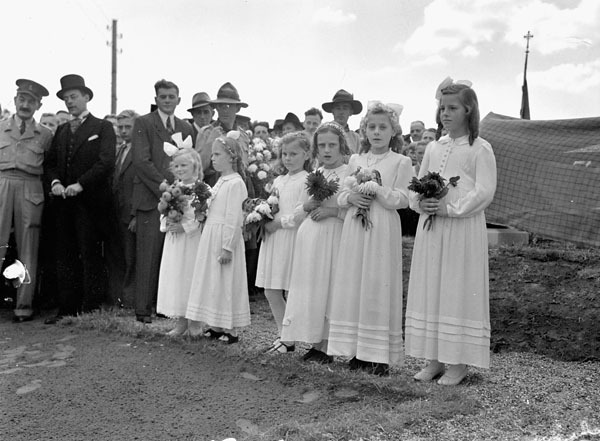 Source: Library and Archives Canada. "The day that the war was over, I'll never forget it. The air was electric. The news reached everywhere, of course, that the Germans had lost. 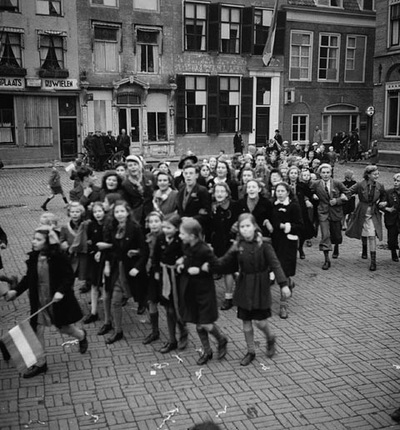 They signed the peace treaty on the fifth of May, which is still a celebration day in Holland. That morning the Jews in our house decided to go out in the street. It was not completely safe, but even so, they alk went to the little forest where the Sickens and the Juliards were living, to gather fur boughs to decorate the house. I brought down the three thousand Dutch flags from the attic. Then, while most of the helpers and the Jewish fellows were busy hanging the flags up all around, more people came in the store. All of a sudden the costumers realized that we had had these Jews in the house all the time, it was surprising, but there were still plenty of people who didn't know."